What Is CFD Trading and How to Profit From It? CFD is a form of trading where you predict the movement of fast moving leveraged assets like shares, currencies, and indices with an aim of making a profit. In this type of trading, you do not own a physical asset but instead, you enter into a contract with a CFD broker who runs a CFD trading platform. When done in the right way, CFD trading can be highly rewarding. Below is all the information you would want to know in case you are planning to start CFD trading. CFD is many people’s favourite type of trading in the United Kingdom. Unlike stock exchange trading, CFD traders do not buy or sell physical trading assets, instead, they take a position on if an individual asset will fall or rise and then place their investment against the position. A trader will gain if his or her predicted position is right and he or she will lose in case a trading asset’s price goes against the predicted position. This means that traders can make a profit from rising and falling prices. If the prices rise or fall as predicted, you will make a profit in line with the rise or fall. On the contrary, if the prices move against your prediction, you will suffer a loss for every rise or fall. Some of the common commodities in CFD trading include gold, copper, silver, crude oil, natural gas, wheat, coffee, sugar, corn, and many other commodities. By investing in commodities, the trader does not have to own the actual commodities. CFD trading presents traders with an opportunity to predict the movement of currencies like USD, EUR, JPY, GBP, AUD, CAD, CNY, SEK, NZD, RUB, BRL, ZAR, HKD, and many other currencies from countries around the globe. In CFD trading, one can invest in stocks from leading companies like Apple, Facebook, Exxon Mobil, Walmart, Toyota, Google, Samsung Electronics, General Motor, Total, Verizon, Glencore, Amazon, and any other chief company in the telecommunication, oil and gas, banking, and healthcare industry. An index is a measure that tracks the performance of a particular group of stocks. 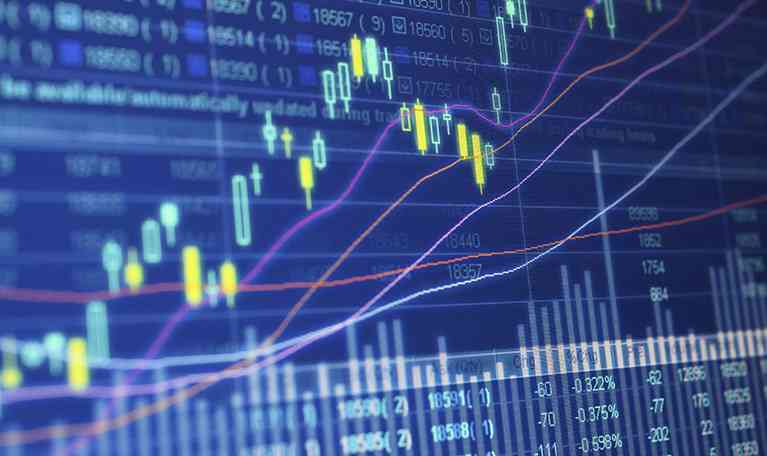 Some of the favourite indices in CFD trading include NASDAQ, Nikkei, Dow Jones, and DAX. How does one start CFD trading? To start CFD trading, you will want to shop around for the best CFD broker. After finding that broker, create a trading account to gain access to the broker’s trading platform. After finding your ideal CFD broker and opening a CFD trading account, choose a global market that you would want to trade in. The conventional global markets that you can select include UK, Europe, Australia, US, New Zealand, and Asia. After selecting the market that you want to start trading on, you will need to choose a trading asset that matches your trading style. The standard trading assets offered by most CFD brokers include currencies, bonds, indices, shares, and commodities. Usually, the trading assets will have two prices, the selling price and the buy price. If you feel like the price of the trading asset is likely to increase, you buy the asset. Likewise, if you feel like the price of that asset is expected to fall, you sell the asset. Since CFD is a high-risk trading strategy if markets move against an investor’s position they can end up owing more than their initial investment. Therefore it would be a wise decision to manage your risk by activating the stop loss function on your trading platform. As its name implies, this function stops the trade when it reaches a specific level to protect you from incurring more loss. If you want to close your trade, you need to tap on the closed position/trade option on your trading app. Once you have selected the closed position/ trade option, the loss or profit will reflect in your trading account. Your trade can also close automatically if the stop loss/ limit order function is triggered. If you want to maximise the chances of making a profit in your CFD trading, you have to make use of social trading, which entails the use of crowd- wisdom to make smart trading decisions. Similar to any other social network, social trading platforms bring various CFD traders together, they let you receive trading updates from other users, and share your thoughts with other users. Furthermore, social trading platforms let you follow your trading role models, read their trading tips, and ask them various questions related to CFD trading. For this reason, social trading creates room for collaboration to improve your trading skills. If the social trading platform supports your broker, then create your account on the social trading platform. You need to start with a demo- account to learn the basics of using the real social trading platform. Identify traders that you would admire to copy. Put the tactics you learn into practice. Are you looking to make reasonable profits from trading? If you are, then Forex News Shop can assist with professional information and tips that will help you make smart trading decisions.